All Music by Fred Frith Trio. Recorded at Sharkbite Studios, Oakland, January 2016. Engineer: Scott Evans. Mixed at Guerrilla Recording and mastered at Headless Buddha, Oakland, March 2016. Engineer: Myles Boisen. Cover art and band photo: Heike Liss. Graphic design: Jonas Schoder. Produced by Fred Frith and Intakt Records, Patrik Landolt. Published by Intakt Records. 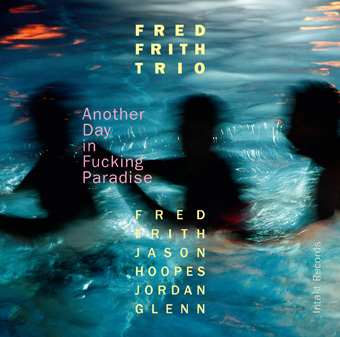 ﻿Frith returns to his deep roots in this improvising trio with the classic lineup of guitar, bass and drums. Playful, intimate, and bound together by a dark and delicate interplay, the group reminds us what listening is all about. After a lifetime of experience across almost every field of musical endeavor, Fred stretches out in the company of two stalwarts of the vibrant Bay Area music scene who have their own stories to tell. 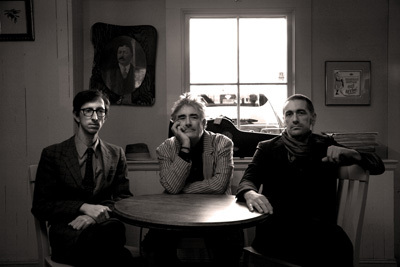 Fred Frith writes about his Trio: "When I proposed this trio I had nothing in mind beyond getting together with a couple of formidable musicians who I love and respect and seeing what would happen, which is pretty much the way things go in my world. We played a few gigs many months apart, always had a blast, invited a couple of awesome guests (Lotte Anker and Jessica Lurie) and didn't think much in conceptual or any other terms. It took playing night after night during our European tour of 2015 or some themes to start emerging. I appeared to be channeling some of my earliest rock and roll experiences – jamming with members of Pink Fairies in 1969, a couple of sad weeks in a band with Syd Barrett, and attending Gong and Pink Floyd concerts where I had the chance to absorb the lessons of Daevid Allen and Dave Gilmour. Earlier my electric guitar heroes hadbeen George Harrison and Pete Townsend, and then – as my horizons broadened – Muddy Waters and Sonny Sharrock. McLaughlin's playing in Tony Williams' Lifetime had been a revelation. On tour with the trio these voices all started clamoring for attention, and Jason's stunning ability to wring every-thing there is to be wrung out of an electric bass was as liberating as Jordan's playful, irreverent, and absolute authority. Anything can happen. Really. It's a bloody great feeling. I think this record captures it quite well!" ﻿Fred Frith, der Improvisateur, Komponist und Multi-Instrumentalist, der lachende Aussenseiter zwischen Rock und Jazz, Improvisation und Komposition, kehrt mit seinem aktuellen Trio zurück zu seinen musikalischen Ursprüngen mit der klassischen Besetzung: Gitarre, Bass und Schlagzeug. Verspielt werden frühe Erfahrungen aus der Rock and Roll Zeit verarbeitet und mit Fred Frith's eigenwilliger Spielweise und seinem höchst persönlichen Sound weitergeführt. Nach zahlreichen Konzerten und einer ausgedehnten Trio-Europatournee ging Fred mit seinen beiden Kollegen aus der Bay-Area, dem Bassisten Jason Hoopes und dem Schlagzeuger Jordan Glenn ins Aufnahmestudio. Zur Musik schreibt Fred Frith in den Liner notes: "Alles kann passieren. Wirklich. Es ist ein 'bloody great feeling'. Ich glaube, dieses Album drückt dieses Gefühl ziemlich gut aus." Das Gitarrentrio ergänzt die Intakt-Aufnahmen von Fred Frith mit Barry Guy, Katharina Weber, Lotte Anker sowie die beiden Song-Alben mit seiner Band Cosa Brava.